Nothing could have prepared me for Knole. 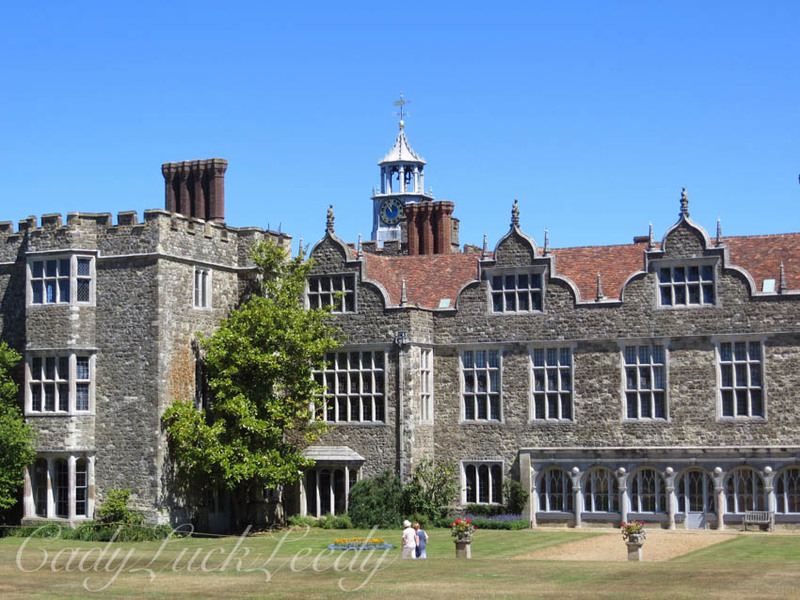 I had read up about Knole. It would be a big house, extraordinary. Well, the people who had lived there made it so very interesting too. 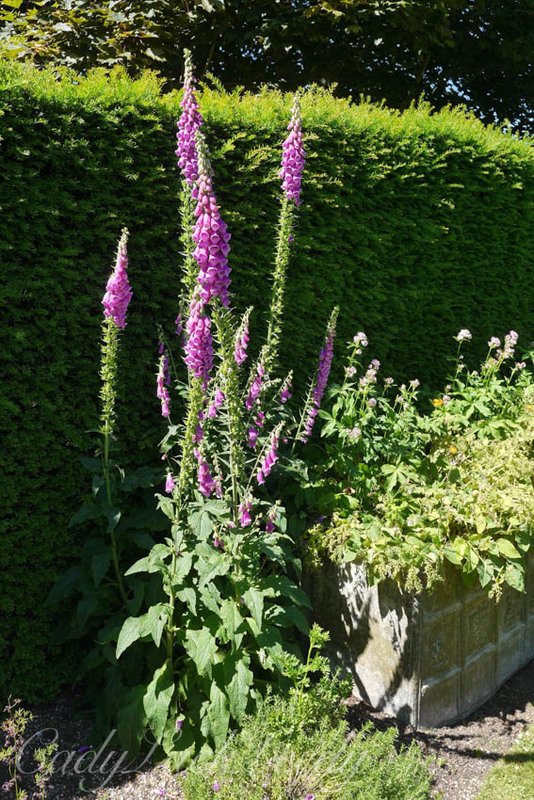 I discovered Vita Sackville-West. I discovered another world. But in reality, it was unbelievable that anyone could live in this home, really a castle, but bigger than any castle I had ever seen. The shear size of it is unimaginable! I wanted to understand this life. I wanted to understand the people who lived like this. 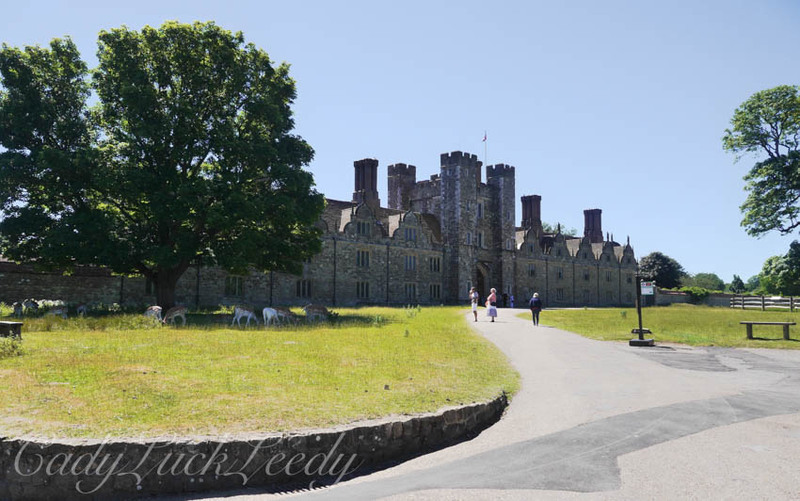 What I learned about Knole. 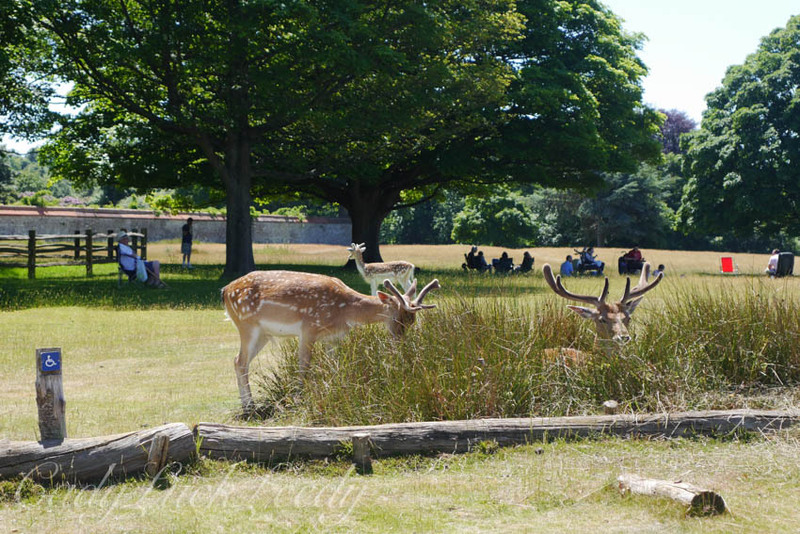 Knole is nestled in a 1000 acre medieval deer-park. The deer know there are no guns here and are happy to be in the front yard, (if you can call it that) and near the parking spaces for Knole. You could reach out and touch them, certainly feed them, or just sit amongst them. 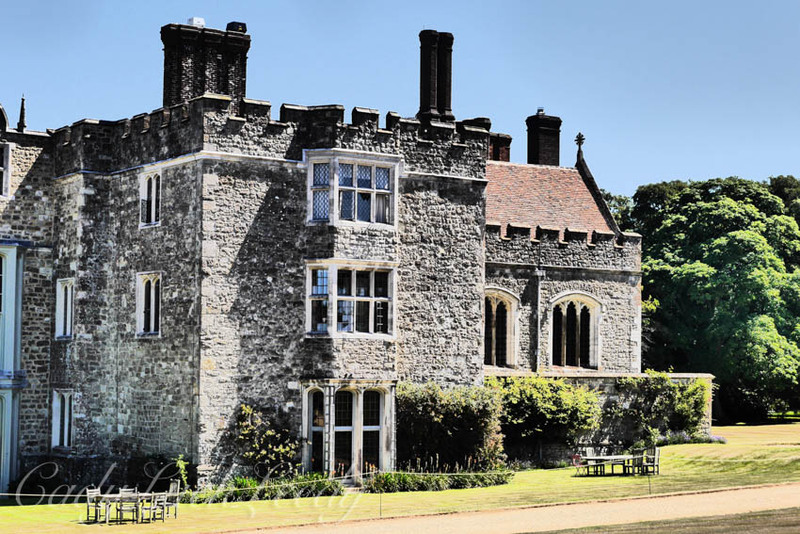 Knole has been open as a park for several years and has been a favorite recreational park for large groups of school children, as a field trip adventure, with plenty of space to run around! Walking up the gravel lane from the car park you get plenty of opportunity to observe the deer! 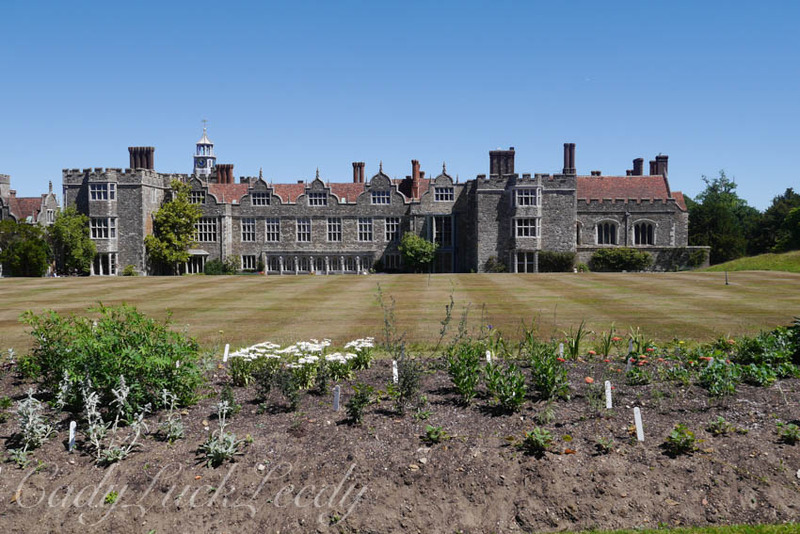 Sprawled out in front of us is Knole, rated as one of England’s largest houses. 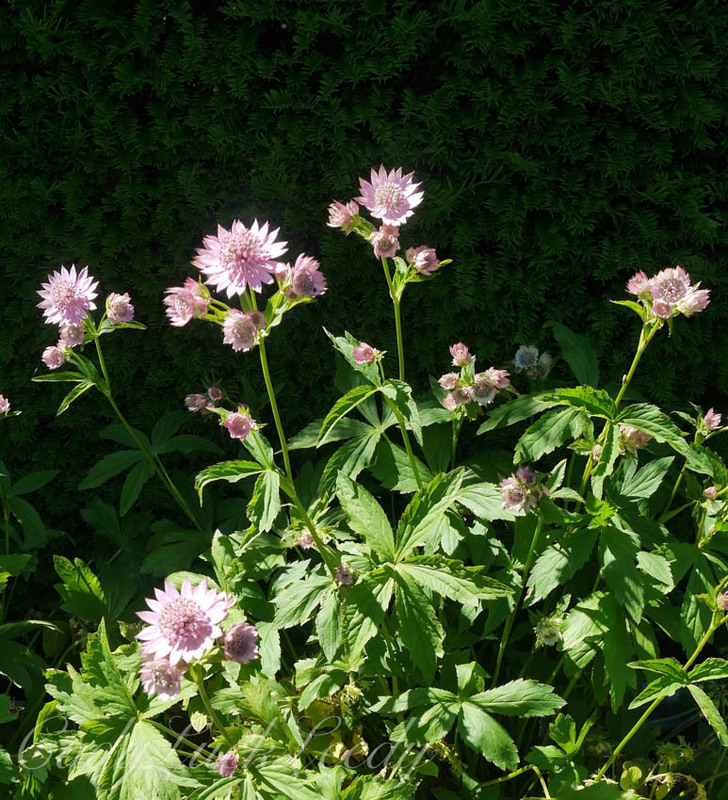 Since 2012 the National Trust, has cared for the house and 52 of the acres. 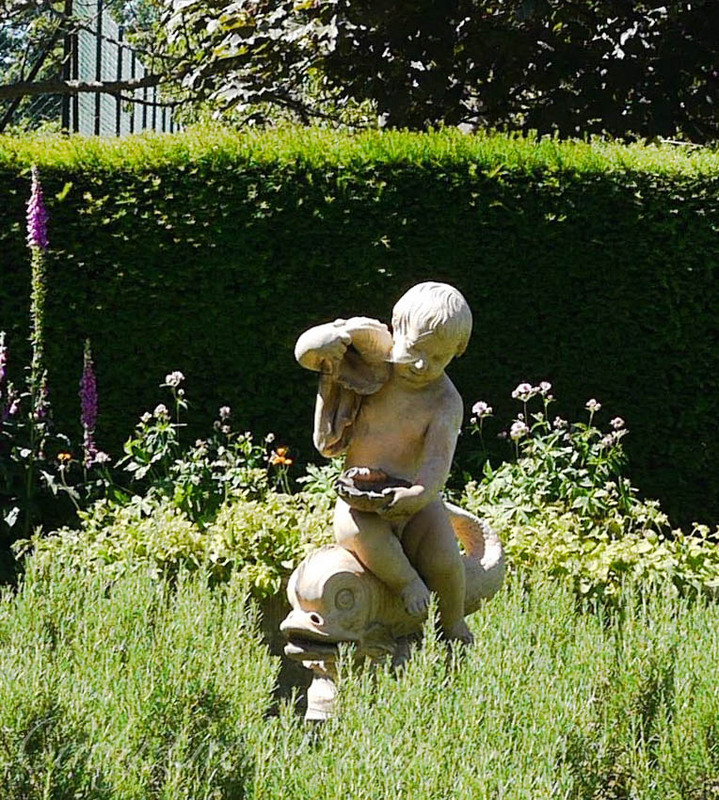 More than half the house has been kept by the Sackville-Wests, along with the remaining gardens and estate, but they do permit commercialized access and charitable and sporting events. Believe me when I say you could live at one end of this place and NEVER know what was going on at the other. 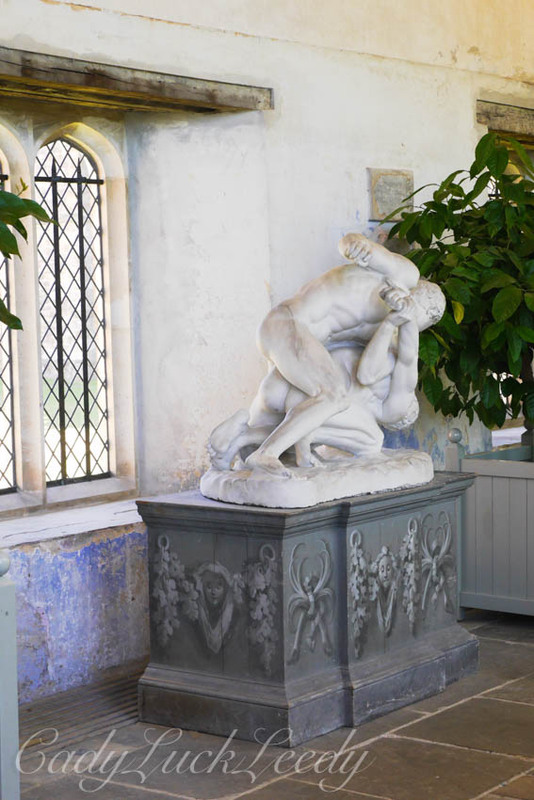 The National Trust has documented this house as a Calendar House, which defines it as having 365 rooms, 52 staircases, 12 entrances, and 7 courtyards, following the order of a calendar with 365 days, 52 weeks, 12 months, and 7 days in a week. Can you imagine that? Who exactly lived here? 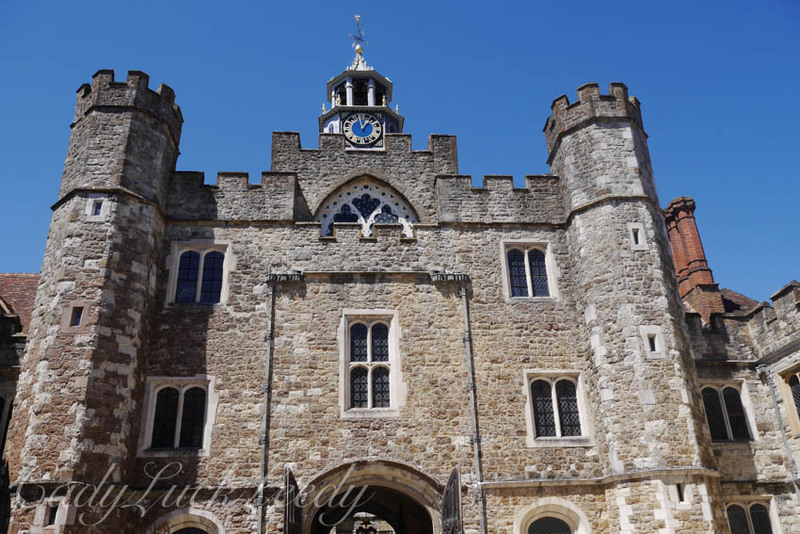 I had to stand far away just to take pictures of SECTIONS of Knole! It goes on and on in the shape of a rectangle with several inner courtyards! 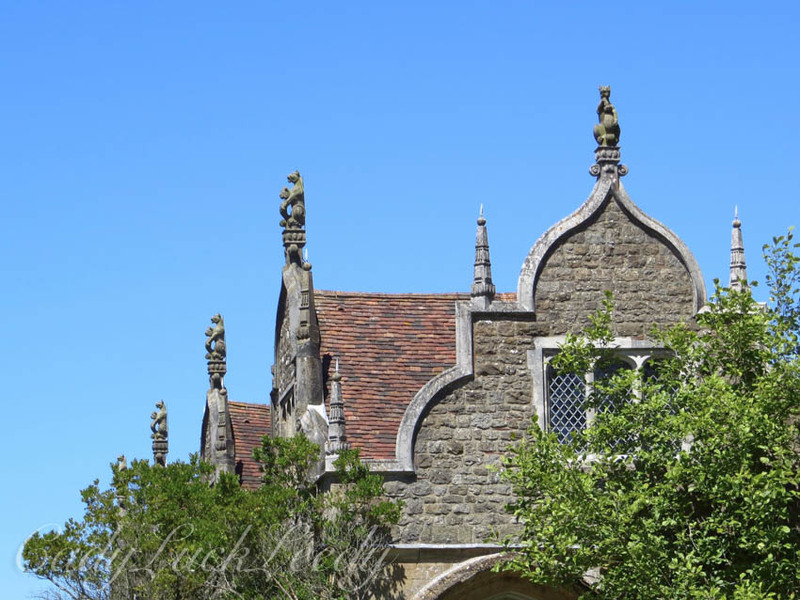 The oldest parts of the house were built by Thomas Bourchier, Archbishop of Canterbury between 1456 and 1486, on the site of an earlier house. 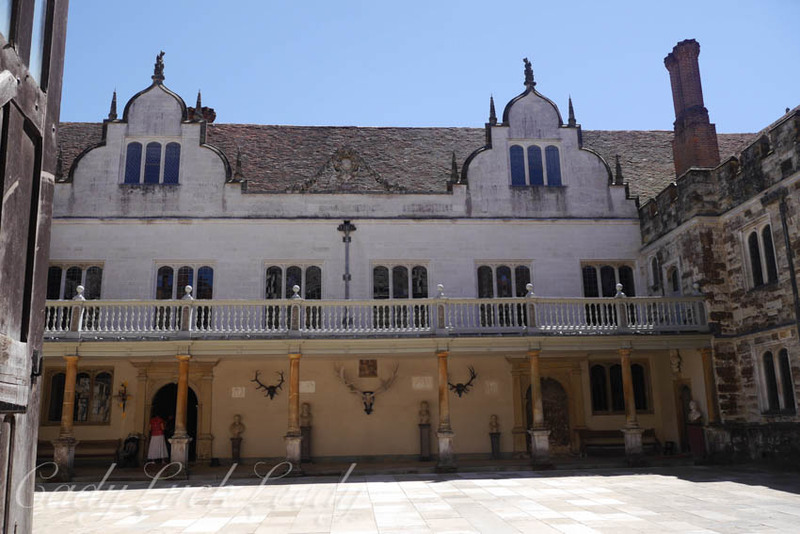 Above and on either side of a large Tudor fireplace is the motto of the Archbishop and subsequently the house was passed on to future Archbishops, enlarging the house with new courtyards, (The Green Courtyard which is now the front yard) and new entrance towers. 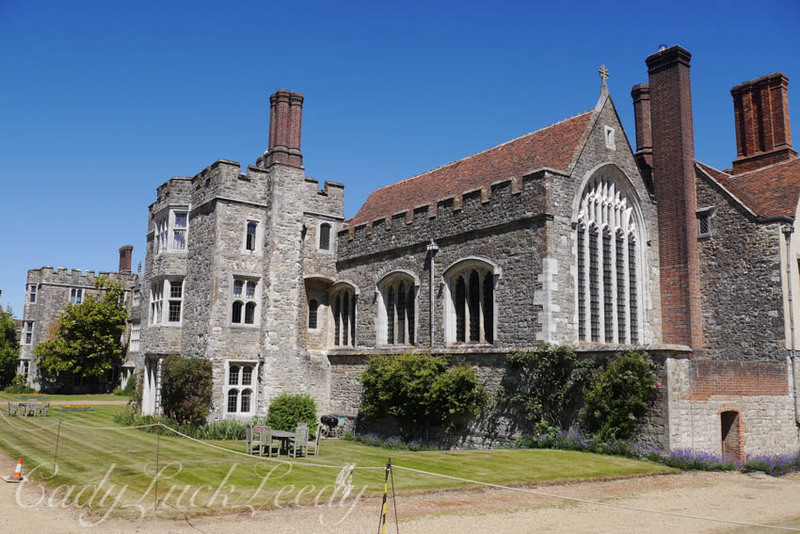 In 1538 the house was taken from the Archbishop Thomas Cranmer by King Henry VIII. In 1566 Queen Elizabeth I gave the house to her cousin, Thomas Sackville, whose descendants have lived there since 1603. 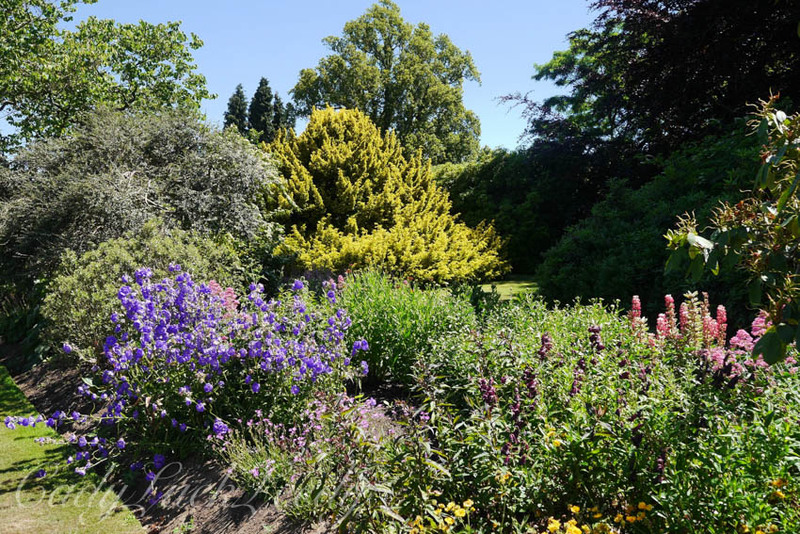 In 1606, Sackville made extensive renovations, to the house, to prepare for a possible visit from King James VI. The estate was not given outright to the Sackvilles. 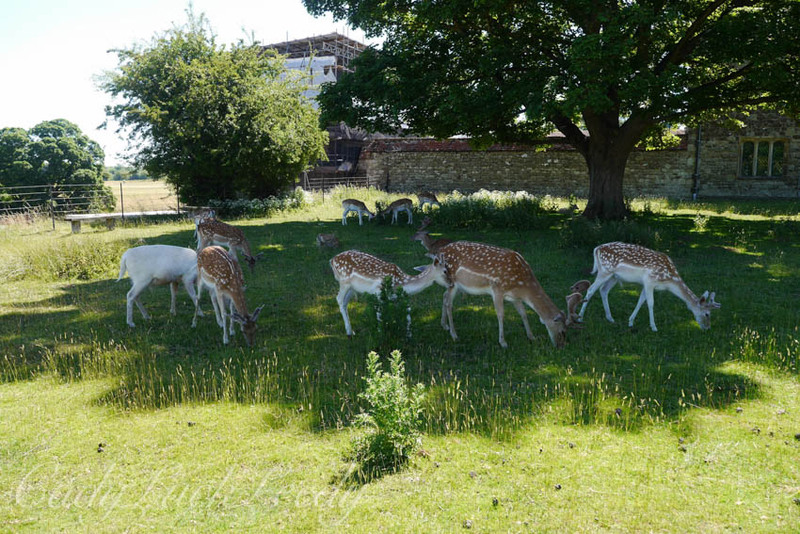 Under the terms of the lease the “manor and mansion house”, with the park and deer, were given in a ninety-nine year lease for 200 pounds. The leasee, had to do all the repairs, but could re-build the house at his pleasure. 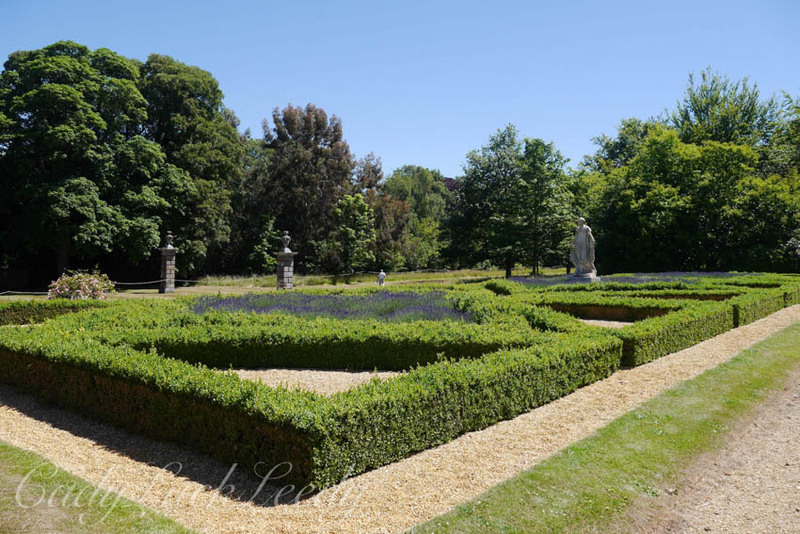 The estate just got larger and larger and it remained in the hands of the Sackville’s. The organ, dating from the 1620’s, is located in the private chapel (which is as big as some modern churches) and is the oldest playable organ in England. 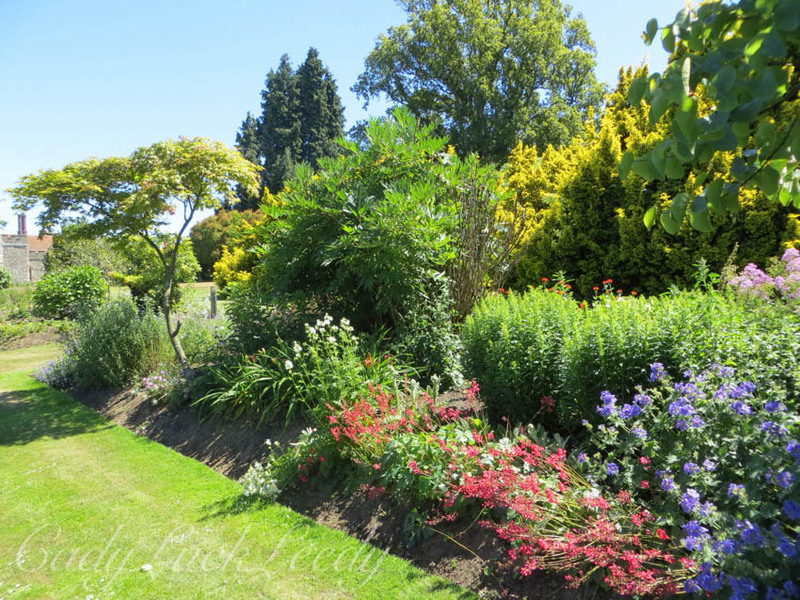 There is a walled garden of 26 acres, and it is large enough to have a very unusual walled garden inside itself. How many stones would that take? How long would it take to build? 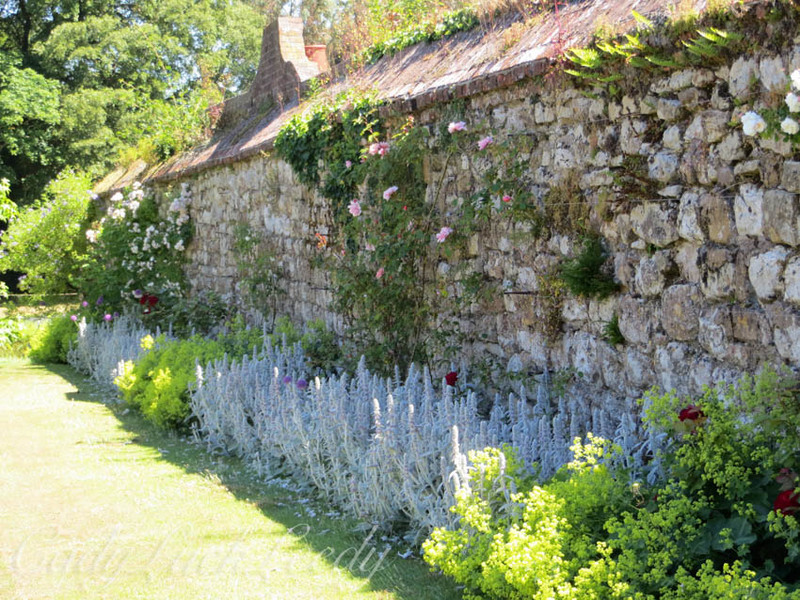 Here is a hedged garden inside a walled garden, inside another walled garden! 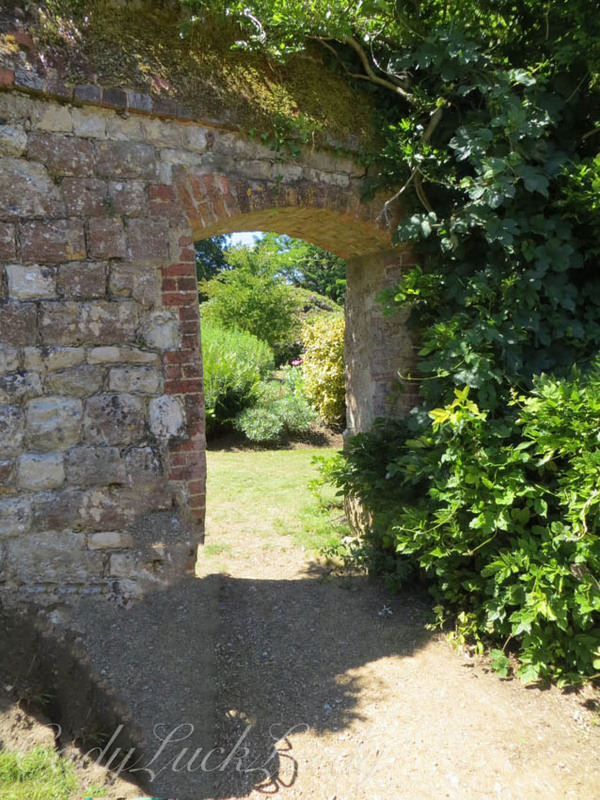 This passageway in the wall lead to yet another garden! 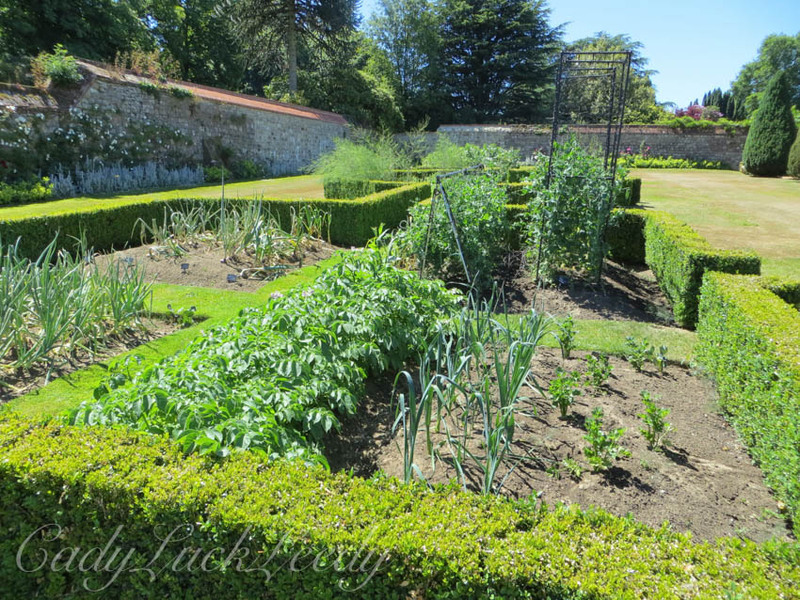 The gardens are so extensive it will take years to completely restore them and lots of gardeners! Today the inside of the house is undergoing conservative reconstruction with support from the Heritage Lottery Fund, since the external repairs have been completed. There is a Bookshop Café, along the Green Courtyard, one of the many inner courtyards. Tents have been placed outside, with a temporary eating station, until the larger restaurant facilities are complete. 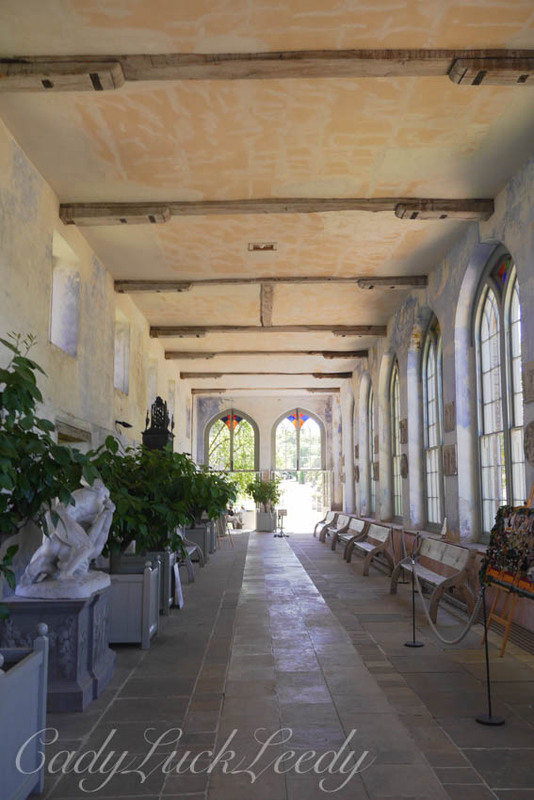 Now that I have got over the shock of the sheer size of the house let’s walk through the orangery from the garden. 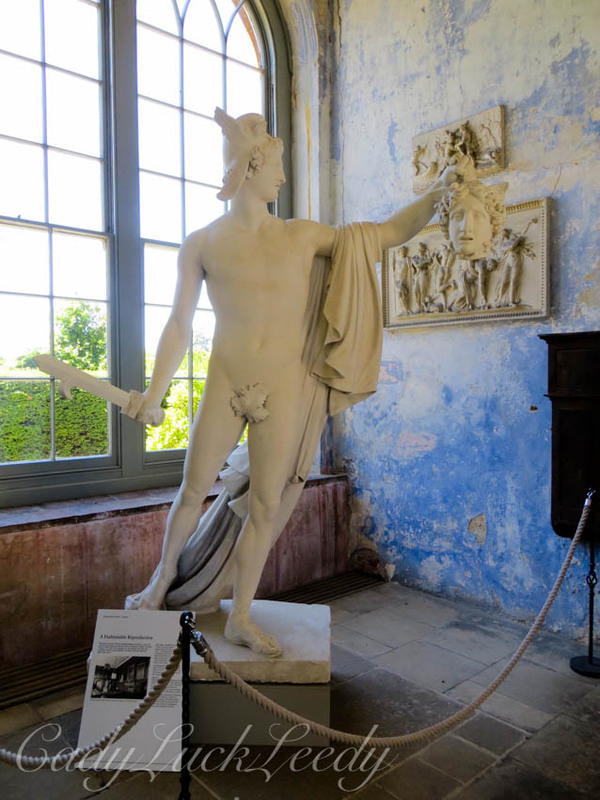 In the orangery are marble statues, orange trees and a Buzaglo. What in the world is a Buzaglo? I wanted to know too! Abraham Buzaglo (1710-1782) came from Morocco to England in 1760, and in 1765 was granted a patent for a new type of stove, known after him as a “Buzaglo”. These “warming stoves”, as they were called, were effective, fashionable and exclusive because of their cost. 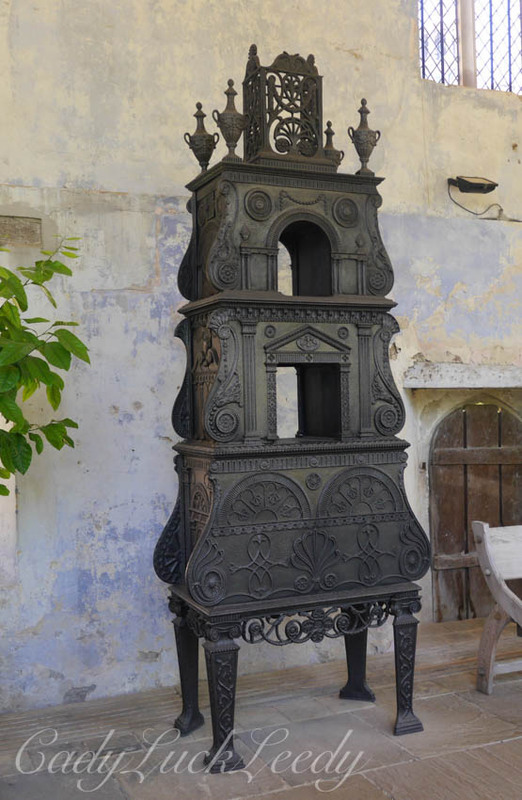 These coal burning, cast iron-stoves were the cutting edge of keeping warm in the 1770’s. Mr Buzlos’s trade card promised that his stoves “surpass in Utility, Beauty, and Goodness say anything hitherto invented in Europe”. They “cast an equal and agreeable heat to any Part of the Room and are not attended by Stench, with a bright Fire to be seen at pleasure”. The stove also “preserved the Ladies Complexions and Eyesight, warming equally the whole body, without Scorching the Face or Legs”. 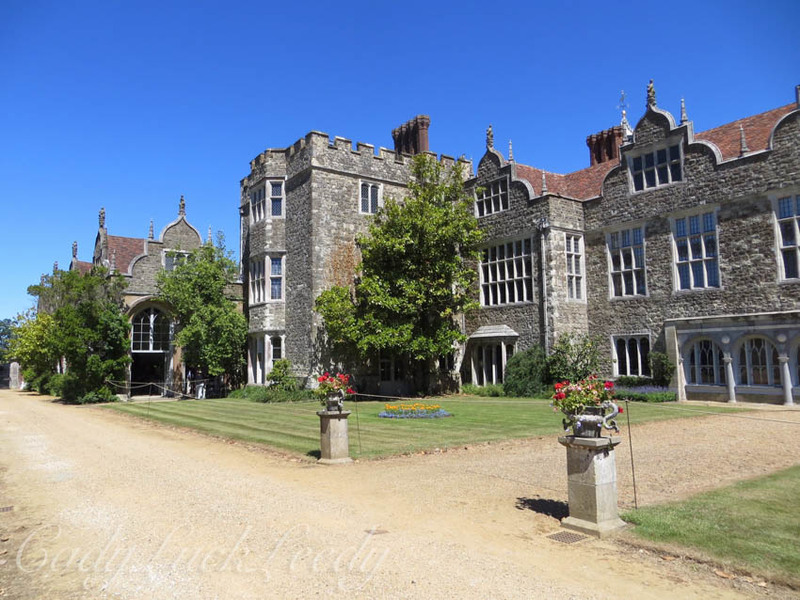 I’m sure if it was the newest and costliest it was wanted at Knole. My question would be how many of the warming stoves would it take to warm up the house? After the “warming stoves” were placed there Mr. Buzaglo could have retired! 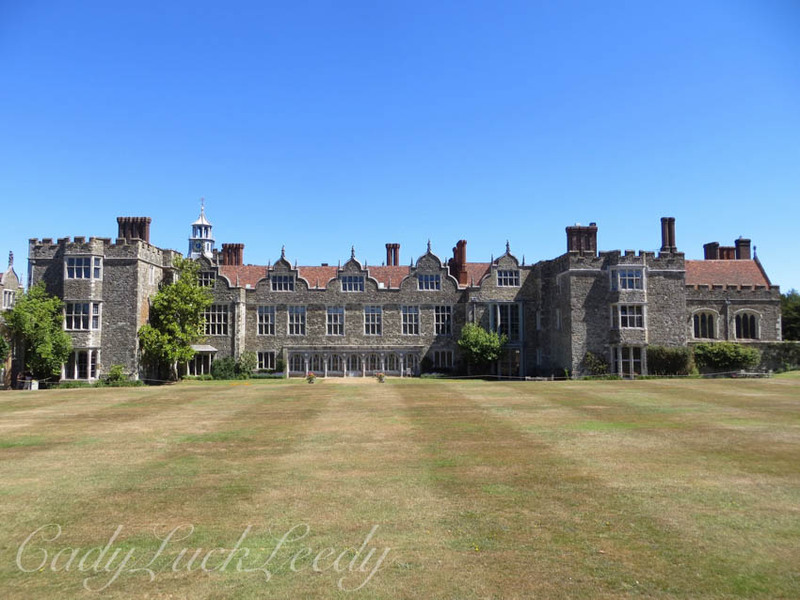 It is clear that Knole prospered for the rich and powerful! 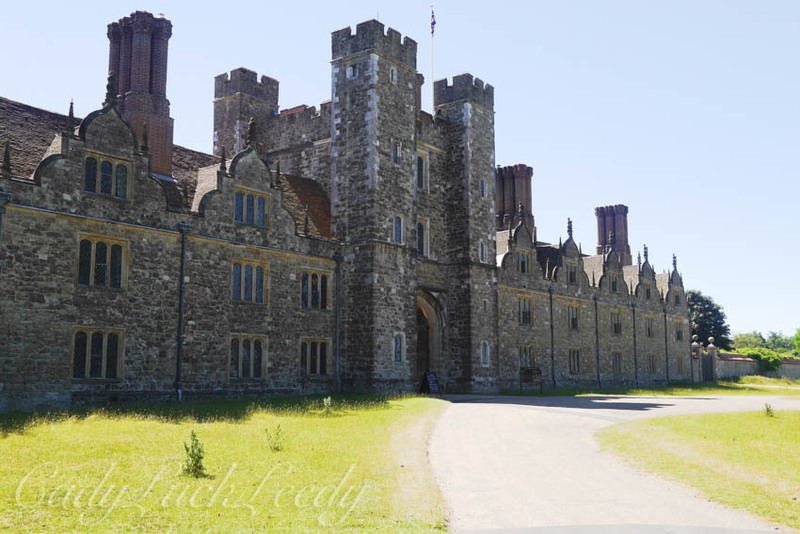 Conservation of Knole is going to take several years. 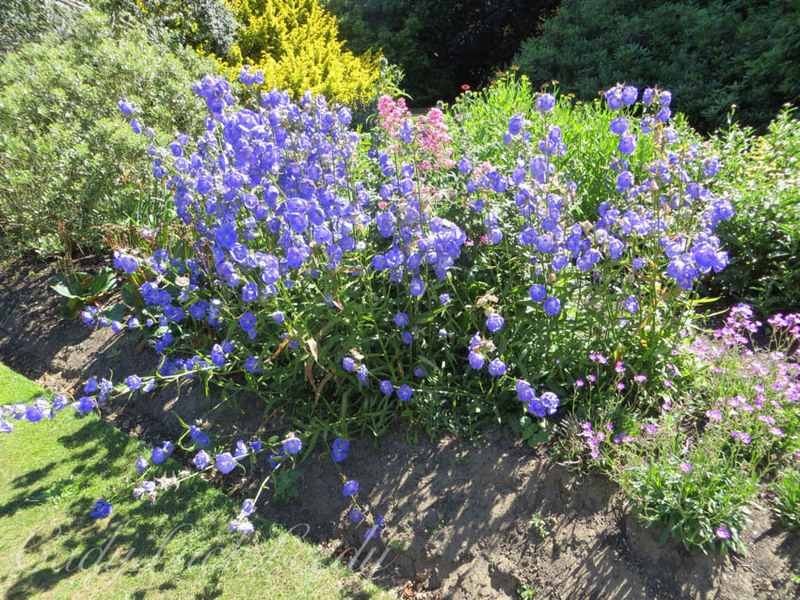 It will be interesting to see how much of the house will be opened to the public and how the gardens will be restored. In 2014 archeologists found oak beams beneath the floors and near the fireplaces, that had been scorched and carved with “witch marks” to prevent witches and demons from coming down the chimney! The house will have to be monitored. It would be so easy to get lost in a house with 365 rooms! 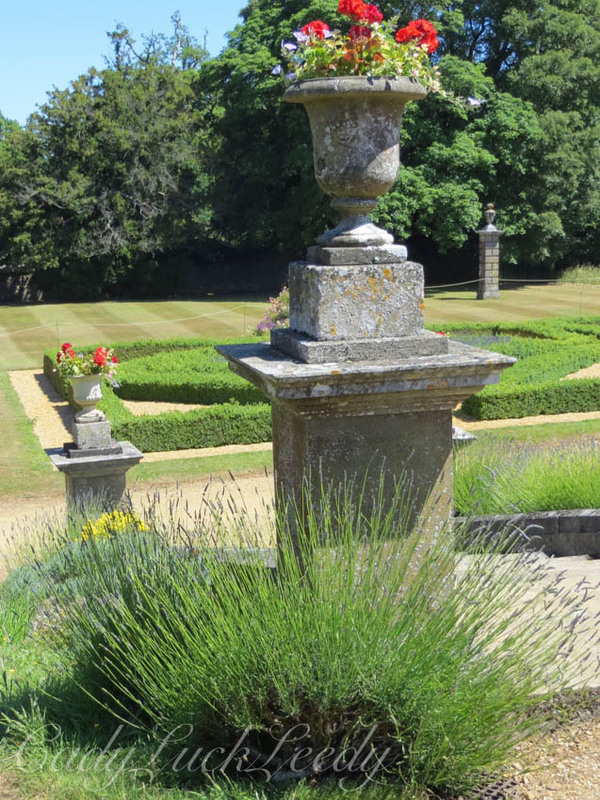 Tomorrow I will share with you the life of Vita Sackville-West, an English poet, novelist, and gardener, who was born at Knole, in 1892. She was an only child! I hope she had enough room in that house! Enjoy! 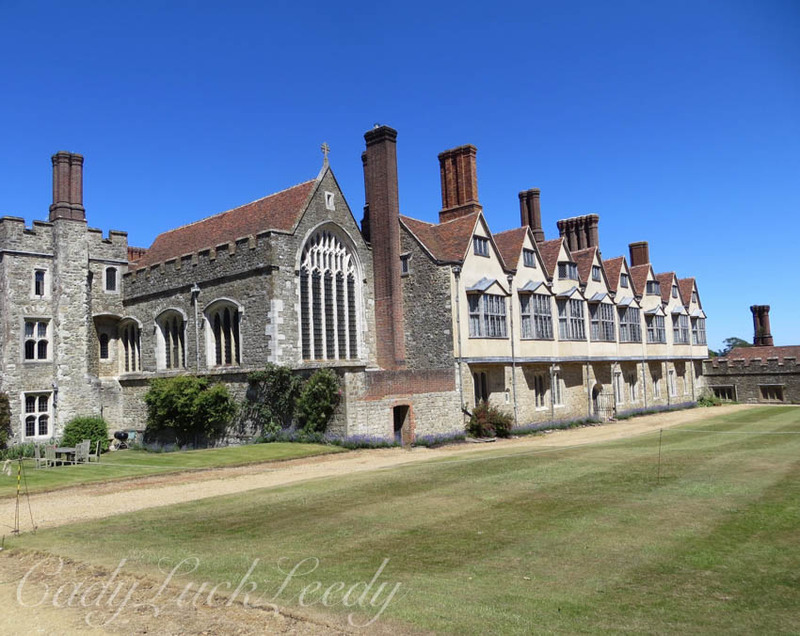 Here’s a last look at Knole, with the chapel on the end! 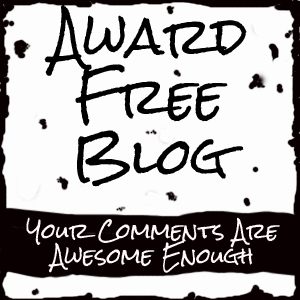 This looks like a place I would enjoy visiting – your photos are very inviting. Wow! What a magnificient house/castle. Lovely photos (as usual).